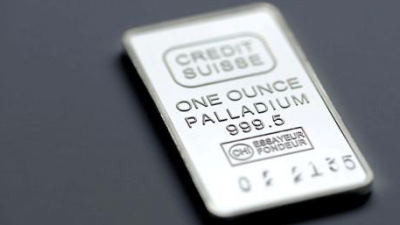 We believe the palladium price has the potential to perform strongly over the next few months on a combination of price supportive supply and demand fundamentals. Supply side issues in the two main producer countries, Russia and South Africa, coupled with better than expected Chinese growth and early signs of a European recovery are likely to support the palladium price going forward. 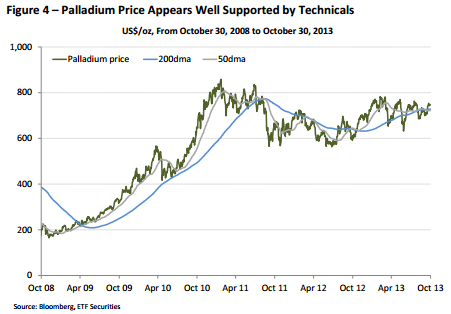 Currently the palladium price is 13% below the high reached on February 2011. We think the decline has been overdone and expect price gains over the next six to twelve months to be underpinned by strong fundamentals. 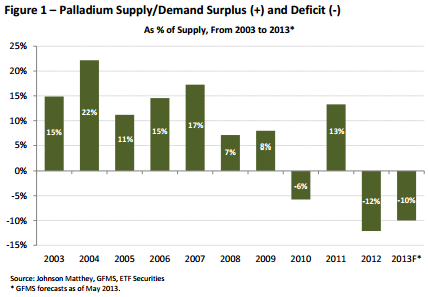 The palladium market experienced a large deficit last year and demand is expected to outstrip supply by at least 850 thousand ounces in 2013 equivalent to 10% of global supply, according to a number of industry experts (Figure 1). With supply structurally limited by falling ore grades and the expected depletion of Russian government stocks, the palladium price appears to be in a good position to benefit from the recent pick-up in auto sales. 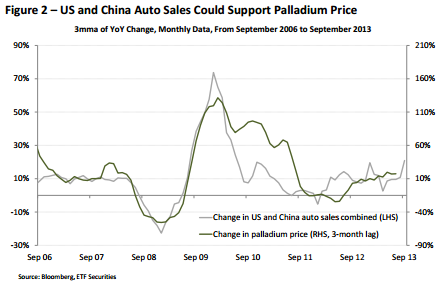 With over 65% of palladium demand coming from autocatalysts,the palladium price is strongly linked to the outlook for vehicle sales in China and the US, the two biggest auto markets in the world. Combined annual sales in China and the US amounted to over 35 million vehicles in 2012 and were up 14% in the nine months to September 2013 compared to a year earlier. However, this sharp rise appears not to have been reflected in the palladium price yet (Figure 2). With China auto sales expected to surpass 20 million this year and US light vehicle sales forecasted to climb to 15 million, we believe palladium price has upside potential. 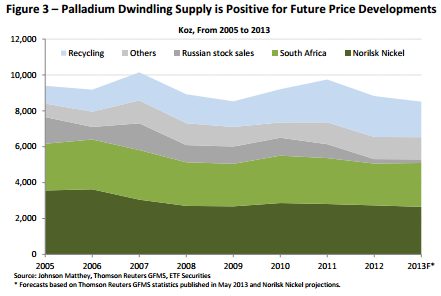 Palladium mine supply has been declining by an annual rate of 2% since 2007. (Figure 3) Norilsk Nickel, the biggest producer of palladium, recently announced a 3% cut in production for 2013. While a pick-up in palladium utilisation in catalytic converters since the mid-1990s has resulted in a sharp increase in supply from recycling, it might not be enough to compensate for dwindling mine supply and the depletion of Russian government stock sales. Decreasing ore grades in the two biggest producing countries, Russia and South Africa, are also likely to cap any upside production potential in palladium supply going forward. The palladium market is likely to remain plagued by a structural deficit due to a combination of increasing demand for autocatalysts and declining supply. 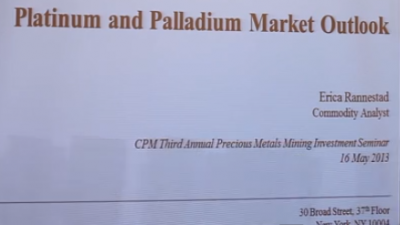 We believe that the palladium price has strong upside potential. From a technical point of view, the palladium price appears to be well supported, after having breached its 50dma and 200dma a few weeks ago (Figure 4). We identify the next resistance level in the region of US$760-780oz. 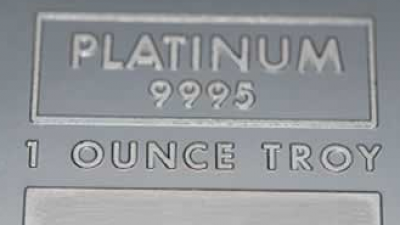 Should this be breached, palladium is expected to return to trade above US$800oz, targeting the 2011 highs of US$858oz. Den där minskade produktionen, undrar om den även minskar produktionen av rodium. Rodium är ju en ädelmetall som bara produceras i samband med andra mer vanliga ädelmetaller.